Brake Repair - Orinda Motors Inc. Need brake repair in Orinda? 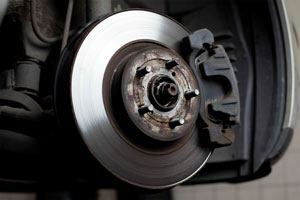 Orinda Motors offers first-rate brake service and car maintenance services. Brakes are an important aspect of routine car maintenance and should not be forgotten. At Orinda Motors, safety always comes first. Why should you choose Orinda Motors for brake repair? Part of the answer lies in our excellent reputation as a leading auto repair facility in the Lamorinda region. Another portion of the answer lies in our team of ASE-Certified auto mechanics who truly care about the people and the cars we service for brake repair and beyond. That is why Orinda Motors has expanded to include a whole family of services for you and your vehicle, including Orinda Auto Detail, Orinda Car Rentals, the Orinda Motors Oil Change & Tire Department, plus our newest division, Orinda Classic Car Center. Additionally, Orinda Motors is AAA approved and Diamond Certified; there are very few shops near Lamorinda who have both designations. By serving residents in Orinda and surrounding communities, Orinda Motors has earned a reputation for providing fast, efficient, and affordable brake repair, car maintenance, and auto services. If you need brake repair or routine brake service we urge you to bring your vehicle into Orinda Motors today. You’ll be glad you did.